I can't recount the number of times I have aborted purchasing a bag after taking an instant liking to it. And then there are also those times when I have rued the decision long after the purchase was done. This happens due to one (or many) of the several pet peeves I have when it comes to handbags. I'm extremely choosy when I am spending my hard earned money and insist on all the right boxes being ticked before I take the plunge. Here I list some of the design elements that really put me off! Fret not - there is a solution to every problem under the Sun, if only we put our heart and mind to it. But then again, prevention is better than cure! Of course - the most obvious irritant is a bag not having enough & appropriate storage slots - that's what a bag's primary purpose is, right? It's the very reason I'm a bit wary of totes, as they exhibit this property the most. But then the charm of totes cannot be ignored altogether. There is an easy answer - organizers. These days organizers come in every shape, size and purpose. And if you don't find one of your choice, you can get it custom made! It's the day of customization & personalization: for instance, icustommadeit.com, baroque.in. This feature is an absolute must have for me. Sometimes when you need things or need to put away things in a jiffy, you don't have the luxury of time to methodically go through the innards of the bag. Most used stuff (such as a lip balm, small amounts of money etc.) should be kept in easily accessible places outside the bag. This peeve is easily addressed if you are wearing contemporary outfits having pockets such as jeans or trousers but ethnic outfits are usually sans this comfort. But relax - help is at hand. You get these small pouches with a key-ring sort of attachment that can be simply clipped to any external hardware of the bag. You have all the external slots you need! While it may be classy and fashionable to carry your bag at the elbow, convenience and health issues will soon catch up with you. It's detrimental to the well being of your elbow to carry your bag as such for prolonged periods of time especially if your bag is heavy. The easiest way out - don't buy a bag without the longer strap that you can use over your shoulder or across your body. But if you are smitten by what you see beyond cure, you have a couple of more options - DIY or get it done at your local cobbler. A big word of caution though - ensure your bag is in skilled/professional hands; you don't want your leather to suffer any damage. There is a third option too - use your bag very sparingly and carry just the essentials when you do. This one entered this list the day I lost EUR 500 at the Louvre, Paris, a decade ago. It was a cute little backpack I was carrying, whose main compartment had a flap with a metal fastener. I bought my ticket and was standing in the queue. When I was out of it, I realized the flap was open and the wallet was missing. I hadn't a penny left on me. Thank God for my friends, who not only took care of the rest of my Paris trip but also took me back home to Germany, where I was residing at the time. Though the episode itself is a distant memory, the lesson has stayed on. So be aware of the risks of not having this all-important pocket and take informed decisions! The trigger for this point was a shoulder issue I had for more than a decade before being rectified. But even now, it is absolutely uncomfortable to have rolled handles digging into my shoulders. Moreover, they easily slip off the shoulder, especially if the bag is on the lighter side. The ideal handles for me are those that are flat and soft. I have seen some bags very recently that have rolled handles but are braided and hence reduce both the hurt and the slippage. But otherwise, the general rule of thumb is to steer clear of such bags. Do try them on at the store, by putting some of your actual stuff in. I have seen my Mum and grandma carrying such bags way back when I was too young to offer any advice and small items used to slip out of that tiny space which is not secured by the zips. Worst, the slippage would often go unnoticed. These are most often those trapezium shaped bags. I continue to see such bags even today though they are usually unbranded ones. Clearly, it's a major design flaw. And one that I cannot risk losing my essentials to. If you are stuck in this unpleasant situation, consider getting a new bag! I have spoilt three bags due to this bothersome phenomenon. I'm wiser now and I use the crossbody length only when I am not wearing denims. Otherwise it's only trousers or palazzos or leggings or the strap has to stay shorter. Do not try to set things right yourself in this case. 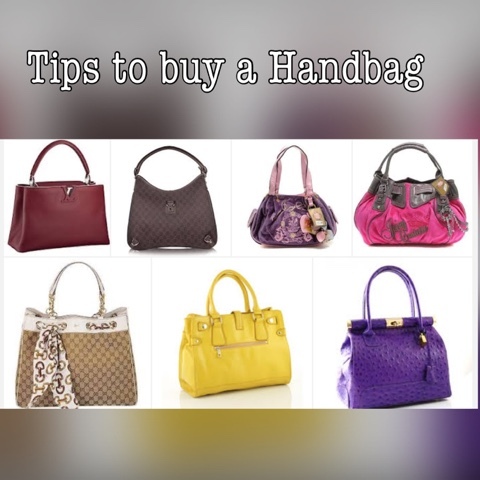 It is highly recommended to go to professional handbag servicing vendors. Do share with us your experiences on this topic. Do you have other interesting pet peeves when it comes to handbags? Guest Post by Vidya Gupta, to know more about bags visit her website BagsLounge. Those are some handy tips indeed Ananya, Thanks for sharing! Hey Ananya - thanks for the edit and publish!